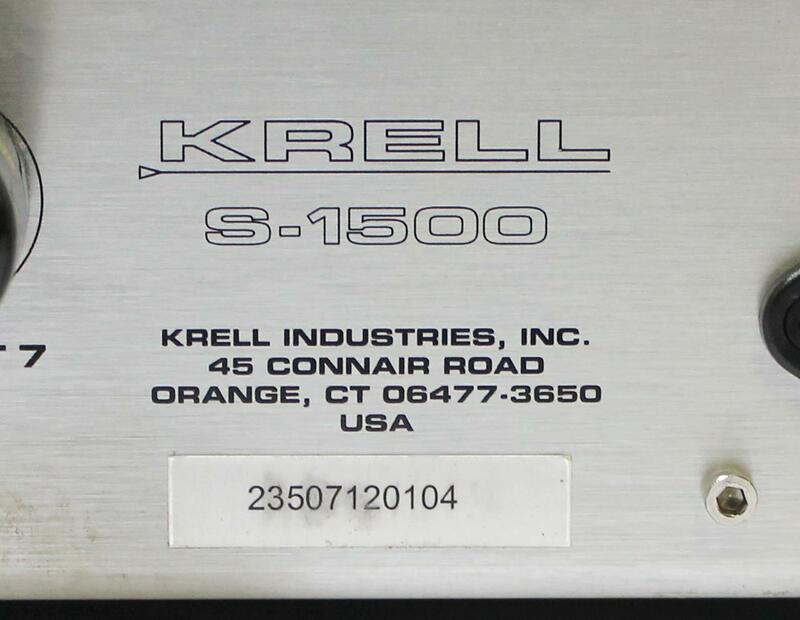 Up for sale is a used Krell S-1500 Five Channel Audio Power Amplifier. All five channels have been tested and are in good working condition. The chassis shows signs of use with scratches and small dents. 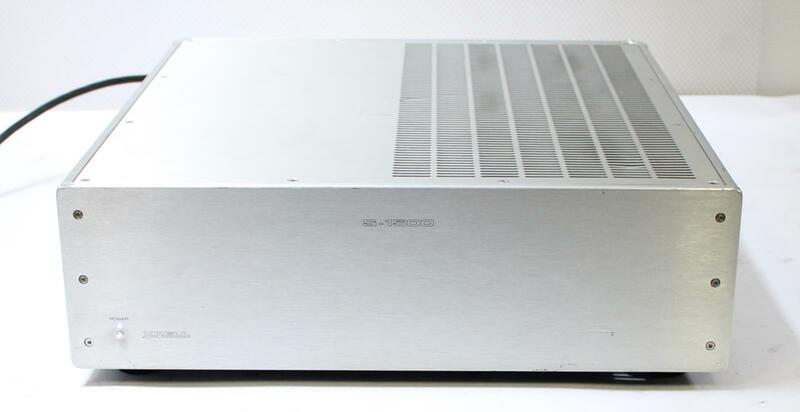 This amplifier features legendary Krell amplifier performance in a multi-channel, upgradeable new design. The S-1500 has a flexible design that delivers five, six, or seven channels of amplification. All three configurations include input and output connections for all seven channels. The S-1500/5 and S-1500/6 may be easily upgraded with additional channels, up to seven. Available in silver or black. Rock solid, linear power supply design renders the S-1500 impervious to speaker demand or AC line fluctuations. A 1,500 VA toroidal transformer is designed for massive current delivery while maintaining an ultra-low noise profile. A robust, 80,000-microfarad array of quick-charging filter capacitance offers enormous energy storage that is available in an instant. Surface Mount Technology is utilized in the amplifier channels to achieve the high circuit density required for wide bandwidth performance. Krell Current Mode, fully balanced topologies, are utilized for all amplifier channels for the lowest noise and greatest detail retrieval. Class-A circuitry is utilized in the input, pre-driver, and driver stages to provide the most accurate signal path. Eight high-speed power devices per channel deliver 150 W into 8 Ohms and 300 W into 4 Ohms. The amplifier is stable at any load impedance. All channels support balanced inputs and outputs. High quality, 5-way binding posts allow speaker connections via bare wires, spade lugs, or banana plugs.